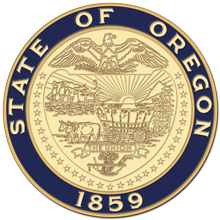 Salem, OR—Governor Kate Brown today announced a drought emergency for Harney County due to low snowpack and precipitation, low streamflows, and warming temperatures as Oregon braces for the upcoming wildfire season. Forecasted water conditions are not expected to improve, and drought is likely to have significant impacts on agriculture, livestock, natural resources, and the local economy. Harney County officials requested the state to take action on May 14, and the Oregon Drought Council considered the counties' requests by weighing current water conditions, future climatic forecasts, and agricultural impacts. The Governor's drought declaration allows increased flexibility in how water is managed to ensure that limited supplies are used as efficiently as possible. Oregon's state agencies will continue to work with local governments and other partners to coordinate efforts and mobilize actions to address drought-related issues. The Governor's drought declaration authorizes state agencies to expedite water management tools to which users would not otherwise have access. As state and local officials coordinate with federal partners, conditions will be closely monitored by the state's natural resource and public safety agencies, including the Oregon Water Resources Department and the Oregon Office of Emergency Management. Drought emergencies have also been declared in Klamath and Grant Counties.